Bakerella has done it again! Look at this adorable "happy meal" made out of cookies, cupcakes and brownies! I am such a huge fan of Disneyland and I remember when they used to have tickets for the attractions. Print out your own book for dad to use for an afternoon nap, home cooked meal or yard work done without question. OH MY! Jackson would love the "happy meal"!!! Does it come with a prize???? cookies, cupcakes and brownies is a happy meal for me! 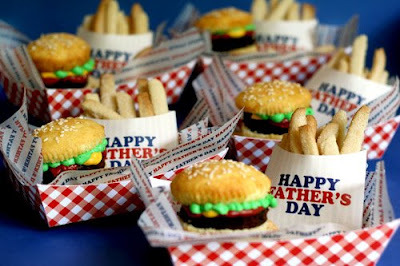 What a cute idea---will you make them for me? I have no skill when it comes to assembling such goodies!! 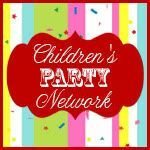 I also loved the party hats you recently shared on a post (the one with the cherries is my fav) and I would certainly enjoy the adult party you also featured!! What a fun experience that would be!! Hope your week is going well. We did have a great little break, but when I returned my computer wasn't working. I spent yesterday afternoon with "Danny" from India :) and he helped somewhat, then my friend's 18 yr. son came over last night and finished fixing what "Danny" couldn't! I wish I had a computery brain, but I don't. It's all OK for now! PS It's been raining here for days--very bad storms rolled in last night and took out most of the electrical poles in a small town not far from us. KCPL sent several crews there help return electricity to the residents. Fortunately, no one was hurt. 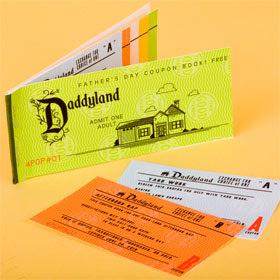 I am printing out the Daddyland coupons right now - super adorable. My husband and I are Southern CA natives so Disneyland is a major part of our lives. I so remember tickets for the rides. I can't wait to have my kids give this to my husband on Fathers Day.